What would you say are the main themes of the back half of Season 3? It’s always that looming question — will Cookie and Lucious get back together? Andre is doing very interesting things — he’s becoming very dark and his actions are quite questionable. Cookie tries out another romance, and when she thinks she’s finding love, there’s a hiccup. Lucious is Cookie’s curse! Is this the season Cookie and Lucious will get back together? I can’t tell you if they get back together again! Then you don’t have to watch the show! It’s a struggle. It’s complicated. Will there be more flashbacks into Cookie and Lucious’ past? Absolutely. You’ll be seeing that all the way up until the end to the finale. What are Cookie’s feelings for Angelo, after we learned in the midseason finale that he got a DUI and left a girl to die in his past? Cookie served 17 years in prison — I don’t think she’s judging him. She gets politics. They play dirty. Cookie understands that. She’s not going to break up with him for that. I don’t think she’s the type of woman to judge someone. Look at her past! Will we learn the full story behind Angelo’s DUI and what really happened? Oh yeah, absolutely. You will definitely know the truth behind what happened. In the midseason finale, Andre said he wanted to kill Lucious — does he really want to kill him? Yeah, he’s not taking his medicine! That’s what I love about Cookie — that was new information to learn about her son last season, that he was bipolar. When Rhonda died, there’s no one to really look over him to make sure he’s taking his proper medicine. It’s really an uncomfortable thing because she doesn’t really understand mental disorders, so it’s a gray area for her, so all she can say is take your medicine and go to the doctor. Should Lucious be scared of Andre? I don’t think Lucious is scared of anything or anybody. But I think as a parent you shouldn’t be scared of your children, and if you are, it’s your fault. Will we see scenes of Jamal in rehab? Yes, you will definitely see the entire family visiting him and dealing with his addiction and group therapy and all of that. Cookie is the one who wanted to send Jamal to rehab. How will that decision impact their relationship? I think what it does with Cookie and Jamal is it draws them closer because now she’s in her son’s life at a time when he needs her and she can prevent something from happening. When she was away and Andre was diagnosed bipolar, she wasn’t able to do anything as a mother so that guilt is with her. So now, another son has an issue and she’s all over it because she wants to be hands on. It definitely brings them closer. There are some new stars coming onto the show. What can you tease about Demi Moore, Eva Longoria, and Rumer Willis? Rumer Willis is a sweetheart. She’s cool because her parents are cool. And then her mom comes on the show, and it’s just like, what?! Demi is someone that I’ve watched since “G.I. Jane” and all the amazing work she’s done. You’ve seen her and Bruce [Willis], and you’ve admired from a far, and then when you meet the person, it’s like, “Thank god! You’re exactly what I thought you were!” She’s so cool and down to earth. It’s amazing when you get to meet someone, like Eva Longoria — “Desperate Housewives,” that was the biggest thing on the planet — and she was so chill and down to earth. Will any of those new characters play an enemy to Cookie? Is there anyone else you’re still dying to have on the show? Diana Ross, can you do the show? Hey! What are your goals for Cookie this season? That’s a hard question to answer because she’s done so much in three seasons. Where does she go from here? Rumer Willis guest stars as a musician Jamal befriends during rehab, as this still-potent hit returns for its spring run. Elsewhere, Andre is once again plotting a coup and Cookie is once again fighting with Lucious. And speaking of Cookie: If you haven't already, use the return of Empire as motivation to go see star Taraji P. Henson in Hidden Figures — not just because it’s an extremely entertaining movie, but because it’s a great reminder that Henson's talents extend far beyond Cookie. TV tends to both make and limit stars; Figures shows you why those limits — like other, more egregious ones — are such a mistake and waste. Even the best shows eventually fade a bit, and Family is clearly not the overwhelming comedy powerhouse it once was But there’s life in this Family yet, as witness this very funny repeat built around Cam’s reunion with an old boyfriend, expertly played by Kelsey Grammer, who wrings every laugh and then some out of his role as a former circus ringmaster turned super-concierge. The Magicians has a strong guest as well: Christopher Gorham, who can also be seen these days on 2 Broke Girls. This week, Quentin nears a dead end, and Eliot risks his life. Taraji P. Henson and Nia Long were at each other's throats on the set of "Empire" in such a big way ... producers almost had to shoot the scenes they were in together ... separately. 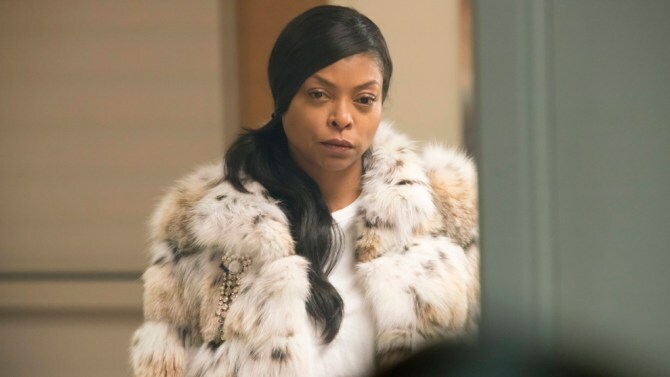 Multiple production sources tell TMZ, Nia was extremely rude to the people in hair, makeup and wardrobe -- something Nia's people strongly deny -- which pissed Taraji off something fierce. We're told it got to the point they stopped speaking to each other when they were on set. Our sources say it was next to impossible to film the scenes they did together, and that's why they had actually blocked out how to shoot those scenes separately. Nia played a recurring role in season 3, which has wrapped. Her character was an ex of Lucious Lyon, who was in the process of getting back with Cookie. As for whether Nia will be back for season 4, our sources say no way in hell. Nia's rep tells TMZ, "This story is complete nonsense. Throughout her long, established career, Nia has been nothing but a consummate professional treating all members of productions with respect." The rep goes on, "This is nothing but another complete fabrication about a series that has been plagued by constant rumors of drama and misconduct." 0 Response to "‘Empire’: Taraji P. Henson on Cookie’s New ‘Nemesis’ and Guest Stars Eva Longoria, Demi Moore"